In the early weeks of January, Egyptian diplomats and senior military personnel are expected to consult with their counterparts from the US, Jordan and the six-member Gulf Cooperation Council on possible frameworks for a Middle East Security Alliance (MESA). The meetings, which have yet to be confirmed, are likely to take place in Washington where the idea of a new military/political/intelligence body bringing together Washington’s closest Middle East allies originated. “We will see what the different parties propose. In principle we are on board, which is what we told the Americans. We have participated in the preliminary discussions that have been taking place in the region and the US and are in the process of formulating our ideas on how to get on with this,” commented an Egyptian government source. Egypt, he said, is not keen on Qatar’s presence in the alliance. Cairo does not want to be excluded from any alliance of Washington’s Middle East allies. It would have far rather seen Qatar isolated for failing to honour its commitments to suspend political and financial support to groups Egypt believes are undermining states in the region. Early in 2018 Egyptian diplomatic sources happily argued that Doha had been sufficiently cornered to suspend what they said were activities “blocking wider regional stability”. Yet as the year comes to a close Saudi Arabia has been forced to shift its foreign policy in the wake of the Jamal Khashoggi affair and the US, according to Cairo-based Western diplomats, is less willing to alienate its old allies in Doha. The Trump administration also wants to avoid pressure from Congress, in which the Democrats will have the majority come January, over its choices in the Middle East. The Oval Office is wary of any additional criticism from the US media and Congress and would far rather coordinate on key strategic issues — keeping Iran isolated while normalising Arab-Israeli relations. Cairo has resigned itself to the fact that plans to isolate Qatar — and also Turkey — have been derailed following the killing of Khashoggi. It is also reconciled with the prospect that in 2019 it will need to closely monitor emerging political and military alliances. MESA is only one grouping Cairo will be closely watching. Egyptian sources say another political alliance appears to be in the making, bringing together Israel, Greece, Cyprus and the US. 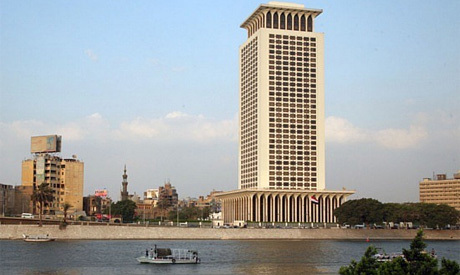 An informed Egyptian official says Cairo is “well-aware” of consultations between the four countries. Speaking in the wake of statements made by Israeli officials at the end of November, the official said the four states are already sharing intelligence with Egypt on illegal immigration and militant groups as well as information on economic opportunities, particularly when it comes to gas exploration and liquidation. The official argues that 2018 was “a very good year” for Egypt in terms of expanding its presence in the gas market. Exploration activities have expanded, and deals have been signed with Mediterranean allies, both intergovernmental and private. Cyprus and Greece have been close allies since President Abdel-Fattah Al-Sisi came to power in the summer of 2014. This year was marked by deeper cooperation than ever among the three countries in relation to gas fields in the Mediterranean. A semi-final agreement covering joint extraction, liquidation and imports, some of which include Israel, was agreed upon by the three countries earlier in the year. Diplomatic sources from Greece and Cyprus are hopeful about even greater cooperation in 2019 on the economic, political and security fronts. Throughout the year Egyptian diplomats have spoken positively about the “solid support” Cyprus and Greece have offered Egypt in the face of criticism within the European Union of Cairo’s record on human rights and democratisation. Other government sources speak highly of the levels of security, and even military, cooperation between Egypt, Greece and Cyprus. One government official hinted that future security cooperation and military coordination between Israel, Greece and Cyprus would not exclude Egypt. “There are some ideas that are being considered for 2019 though discussions are still in an early phase,” he said. Officials are also positive about Egypt’s growing engagement in tackling drug trafficking migration across the Sahel and Sahara. Towards the end of the year, Egypt hosted a number of North African countries for anti-terror training at the Mohamed Naguib naval military base west of Alexandria. Increased coordination with neighbouring states is just one strand of Cairo’s anti-smuggling and illegal migration strategy. Egypt is working closely with its European allies and with the US on the problem. Cairo-based European diplomats have commented on the increasingly close cooperation between Egypt and France when it comes to the Sahara and Sahel. Egyptian officials say Cairo is determined to work with European states, particularly those along the Mediterranean, to tackle illegal migration. One spin-off of the policy is that it contributes to halting the smuggling of arms across Egypt’s borders. Ending the infiltration of arms and terrorists into mainland Egypt from the Sahara, and then on to Sinai where the Egyptian army, in cooperation with regional and international allies, is battling Islamic State, is a key goal of Egyptian policy. In its pursuit of this goal Cairo opted throughout 2018 to shelve many of its reservations vis-a-vis Khartoum in order to facilitate closer coordination with Sudan on arms and militant smuggling. Egypt hopes that consolidating security and intelligence cooperation with Sudan will also have a positive impact on its western neighbour Libya, source of many of the arms smuggled into Egypt. Cairo has repeatedly voiced concern about the porosity of its more than 1,000km border with Libya and remains determined to prevent it from becoming “infested with arms and fighters who come from all over through the deserts of Chad and Mali”. Though Cairo has every right to be pleased with the way security has been strengthened in eastern Libya under Khalifa Haftar, a close ally of Egypt and the UAE, there is no room for complacency. Next year will bring more challenges on the western front, and there is considerable scepticism in Cairo over the ability of UN Envoy to Libya Ghassan Salamé to deliver presidential elections. Though Egypt would like Haftar to win any election that is held it is aware that this may not happen, and that whoever does win is unlikely to have full control over the country, including the restless south. While Egypt is convinced of its ability to keep the east of Libya relatively safe and stable it has less confidence when it comes to other policy goals it had hoped would be at least moving towards resolution this year. The Great Ethiopia Renaissance Dam (GERD) is one issue that has proved intransigent. In November 2017 Cairo sounded alarm bells at the speed with which the dam was being constructed. In 2018 it had hoped to reach an agreement with Ethiopia on action to reduce the negative impact of GERD on Egypt but by November of this year itwas once again sounding the alarm. While there has been a temporary delay in construction work, a result of political squabbles in Ethiopia and of corruption in the building process, Cairo knows it cannot count on such delays continuing indefinitely. Next year will be decisive in determining how the dam will impact on Egypt’s water security and Cairo will be desperate to see progress in its consultations with Ethiopia and Sudan over the dam by the first quarter of the year. The GERD file is causing far more worry in Cairo than other unresolved files, including continuing Russian reluctance to restart direct flights to Egypt’s Red Sea resorts — flights were suspended following the downing of a Russian plane over Sinai in 2015 — and ongoing tensions with Italy over investigations into the brutal killing of Italian PhD student Giulio Regeni in Egypt in February 2016. Indeed, some Egyptian officials say reaching an agreement with Ethiopia over GERD will take precedence in 2019 over securing sufficient international support for moves to amend the constitution to allow loner presidential terms, and/or increase the number of terms the president can serve.